(Bloomberg) – South Africa’s ruling African National Congress leadership chastised the party’s secretary-general for taking part in a clandestine meeting with former President Jacob Zuma where they allegedly discussed a plot to oust the man who replaced him, Cyril Ramaphosa, according to three people familiar with the matter. Ramaphosa was at a meeting of the top six officials on Monday that demanded an explanation from Secretary-General Ace Magashule, according to the people, who asked not to be identified because they’re not authorized to speak publicly about the matter. Magashule didn’t immediately respond to calls seeking comment. The move to censure Magashule indicated a shift in the power dynamics inside the ruling party in favor of Ramaphosa, who was elected party leader at the ANC’s conference in December and became South Africa’s president in February after Zuma was forced to step down. Magashule admitted on Tuesday that he had met Zuma and other officials in Durban as reported by the Johannesburg-based Sunday Times newspaper but said the talks were about party “organizational issues.” He also met with other party officials and members including Supra Mahumapelo, who was ousted as the premier of the North West province. The Sunday Times newspaper published a photograph of Zuma, Magashule and Mahumapelo at a hotel in Durban. 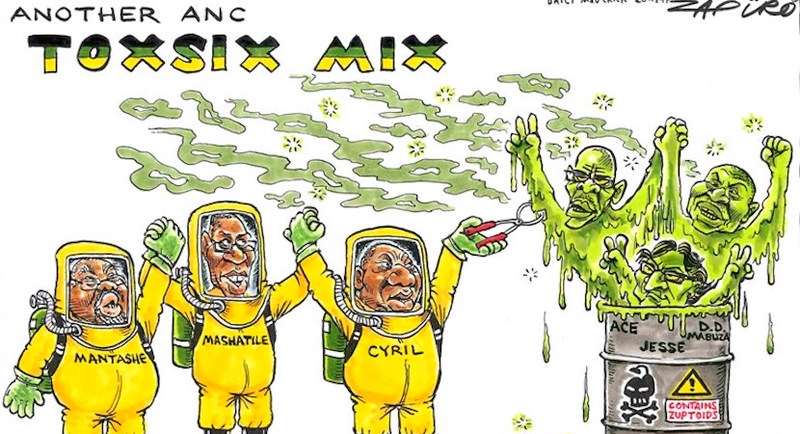 One has to ask: what should Ace Magashule do for Cyril Ramaphosa to finally act against him? Is he scared of him? Has Ace become Mr Untouchable? Mahumapelo and Magashule were part of a bloc of key supporters of Zuma during his scandal-marred tenure and had backed the candidate of his choice to succeed him as ANC leader, Nkosazana Dlamini-Zuma, over Ramaphosa. 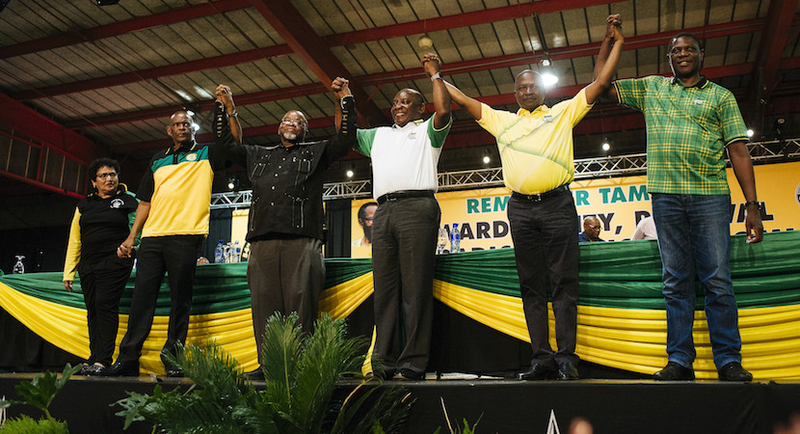 In recent weeks, the ANC has pushed several party heavyweights, including Zizi Kodwa, the head of the ANC Presidency, and Jackson Mthembu, the chief whip in the National Assembly, to take a bigger role in its communications effort, overshadowing the official spokesman, Pule Mabe, who campaigned against Ramaphosa in the succession battle last year.